My name is Hector DeVille and I am a full-time Forex trader. Not a guru, not a market wizard nor a published author - just a trader who trades Forex for a living. One of the main struggles every new trader faces is to weed out the useful information from the ocean of promises, uneducated statements and all around miss-information that floats around the internet. Have you spent hundreds on dollars on "magic" systems that look promising on cherry-picked historical charts but that didn't quite deliver when applied in real time? Have you tried dozens of so-called holy grail systems and indicators yet nothing has brought home consistent results? Are you fed up of buying a course and receiving no update or support whatsoever, being left alone in front of the charts with a system you don't really understand? Are you suspicious about all those so-called mentors touting their wonderful systems but never seeing them trading live? 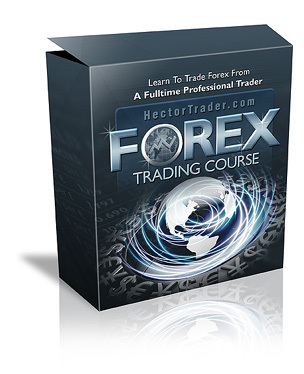 HectorTrader.com is not offering you yet another black-box trading system - we're offering you a full Forex training program so you actually learn how to trade as opposed to blindly follow the signals generated by a black box system. There's an important difference! When you simply follow a system you don't quite understand the trading decisions you're taking... you just follow the signals generated by a combination of indicators that may or may not be right at that precise time. In the order hand, when you actually learn how to trade you can fully understand why this or that trading decision is considered and why this or that action is undertaken! But before moving on, let me show you one of my many live trading videos so you can have an idea of the type of trading I do. You will immediately notice how real trading is not mechanical at all... instead, it's actually centered around price action reading and truly understanding what's going on in the chart as the trade unfolds in real time! That chart-reading skill is exactly what you must master if you want to learn how to properly trade successfully. Are you fed-up of system vendors who would never answer back any of your emails? I am always ready to answer all your questions! On a daily basis I receive a number of emails from my students sharing their trading setups, chart annotations and questions and I gladly give them my feedback and how I would have personally played this or that trading opportunity. You can rest assured that I will go out of my way so you fully absorb and apply my system into your own trading methodologies in order for you to make the best out of it. So remember, if you ever need any assistance with your trading I am just one email away! I have dozens of emails from satisfied students and I am more than happy to share them with you. In fact, instead of copying and pasting a bunch of testimonials that you couldn't possibly verify whether they are legit or not, let me actually show you a screen recording video so you can see with your own eyes the type of feedback I receive from other students who've already gone through the course material. As you can see, our students are genuinely happy with the education and the indicators they've been provided with. With your training program you will receive our custom Trend-Scanning indicator for the MetaTrader4 platform. Nowhere else on the net you can find it as it is exclusively for our subscribers! The Trend-Scanning indicator sniffs across all currency pairs and all time frames searching for solid trends so you don't waste your time! Trading is complicated enough as it is, so you might as well save yourself headaches and frustration searching for valid trading setups. This indicator will look for those juicy trends for you! "It's scary how easily you get hooked into your indicator man - it really is a time saver when it comes to search for trends isn't it?" "Like you say in the course, trading in the direction of the trend is the only way to make consistent money in Forex, and I love the fact that I can always confirm my trades with the trend indicator!" "It is a no-brainer: Red circle? search for shorts. Green circle? search for longs. Grey circle? stay out and keep yourself from troubles! Would you believe me if I told you that my percentage of winning trades has doubled since I follow the colors in your indicator?" That's right, it's a 100% risk-free purchase! The course has received so many positive reviews and testimonials that I can safely offer you a 60-day money back guarantee! Take the course, go through all the different chapters, watch the videos, download my custom Trend Scanning Indicator and test it all at will... if you like what you see, keep the material; if you don't, simply send me an email within the first 60 days and I will refund your money right away. Due to the high interest our training program is receiving and the warm testimonials sent by our students, the 3SMA Forex Trading System might see its price increased over the following days. For the time being we're keeping it to only a one-time fee of US$197. "Would we rather be receiving complains about the price of the course or about its quality?" And we acted accordingly: we were set to create the best Forex trading educational material around, and considering the testimonials we get on a daily basis from our students we reckon the goal has been achieved! Please remember that you're not simply buying another black-box system - you're actually enrolling a full training program that will teach you how to trade Forex! All in all, HectorTrader.com offers you a top-notch Forex trading education program that will undoubtedly boost your trading results. If you would like to join the top 5% traders and become consistently profitable, enrolling our ranks will be the very best decision of your trading career! "Just wanted to tell you that you've put order in my charts and ever since taking your course I have made tremendous progress. I can see clearly now. Thank you, thank you, thank you!" "All excellently explained by a Pro! If you seriously want to learn to trade then its really worth checking out. Trading is a serious business, and you should get serious training. Hector's website is a superb place to learn strategies that work." Ordering is quick, easy and safe via PayPal or Credit Card. Simply click on the payment button here below, select your choice of payment and you will receive immediate access to the course section. Please Note: The course and the videos are online-hosted. Nothing Will Be Sent In The Post! P.S. - Stop searching for a quick Forex fix that delivers nothing but empty promises and unrealistic hopes! 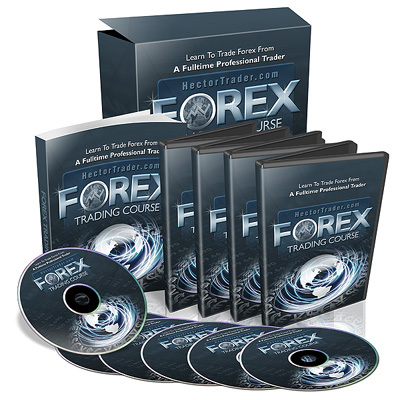 Enroll this full-size training program and learn, once and for all, how to become a successful Forex trader. You owe it to yourself! P.P.S. - This is a risk-free purchase: if you are not you fully satisfied with the course you have 60 days to get your money back guaranteed! You have nothing to lose! P.P.P.S. - Upon payment, you will receive immediate access to the whole course section plus the Trend Scanning custom indicator. 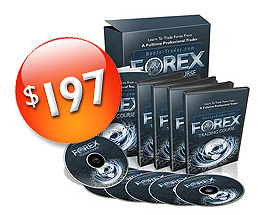 You can be studying your way to Forex success today! Disclaimer U.S. Government Required Disclaimer � Trading foreign exchange on margin carries a high level of risk, and may not be suitable for all investors. The high degree of leverage can work against you as well as for you. Before deciding to invest in foreign exchange you should carefully consider your investment objectives, level of experience, and risk appetite. The possibility exists that you could sustain a loss of some or all of your initial investment and therefore you should not invest money that you cannot afford to lose. You should be aware of all the risks associated with foreign exchange trading, and seek advice from an independent financial advisor if you have any doubts. Clearly understand this: Information contained within this course is not an invitation to trade any specific investments. Trading requires risking money in pursuit of future gain. That is your decision. Do not risk any money you cannot afford to lose. This document does not take into account your own individual financial and personal circumstances. It is intended for educational purposes only and NOT as individual investment advice. Do not act on this without advice from your investment professional, who will verify what is suitable for your particular needs & circumstances. Failure to seek detailed professional personally tailored advice prior to acting could lead to you acting contrary to your own best interests & could lead to losses of capital. *CFTC RULE 4.41 � HYPOTHETICAL OR SIMULATED PERFORMANCE RESULTS HAVE CERTAIN LIMITATIONS. UNLIKE AN ACTUAL PERFORMANCE RECORD, SIMULATED RESULTS DO NOT REPRESENT ACTUAL TRADING. ALSO, SINCE THE TRADES HAVE NOT BEEN EXECUTED, THE RESULTS MAY HAVE UNDER-OR-OVER COMPENSATED FOR THE IMPACT, IF ANY, OF CERTAIN MARKET FACTORS, SUCH AS LACK OF LIQUIDITY. SIMULATED TRADING PROGRAMS IN GENERAL ARE ALSO SUBJECT TO THE FACT THAT THEY ARE DESIGNED WITH THE BENEFIT OF HINDSIGHT. NO REPRESENTATION IS BEING MADE THAT ANY ACCOUNT WILL OR IS LIKELY TO ACHIEVE PROFIT OR LOSSES SIMILAR TO THOSE SHOWN. PAST PERFORMANCE: Past performance is not indicative of future results. This website does not make any representation whatsoever that the above mentioned trading systems might be or are suitable or that they would be profitable for you. Please realize the risk involved with trading Forex investments and consult an investment professional before proceeding. The trading systems herein described have been developed for sophisticated traders who fully understand the nature and the scope of the risks that are associated with trading. Should you decide to trade any or all of these systems' signals, it is your decision. There are both live and demo performance results provided through this website. Demo performance results displayed on this website are hypothetical in that they represent trades made in a demonstration ("demo") account. The trades placed in the demo account take into consideration the spread between the bid and ask prices which would have been paid by a trader if an actual trade was made. Transaction prices were determined by assuming that buyers received the ask price and sellers the bid price of quotes provided by a large Forex broker. The live accounts displayed are actual accounts being traded with real money however the performance displayed on these accounts is not indicative of future results and there is no guarantee that you would have experienced the same results had you been trading the strategy in the past. ** TESTIMONIAL DISCLAIMER IN ACCORDANCE WITH THE FTC GUIDE LINES CONCERNING USE OF ENDORSEMENTS AND TESTIMONIALS IN ADVERTISING, LET US MAKE YOU AWARE OF THE FOLLOWING CIRCUMSTANCES: � TESTIMONIALS APPEARING ON THIS SITE ARE ACTUALLY RECEIVED VIA TEXT, AUDIO OR VIDEO SUBMISSION. THEY ARE INDIVIDUAL EXPERIENCES, REFLECTING REAL LIFE EXPERIENCES OF THOSE WHO HAVE USED OUR PRODUCTS AND/OR SERVICES IN SOME WAY OR OTHER. HOWEVER, THEY ARE INDIVIDUAL RESULTS AND RESULTS DO VARY. WE DO NOT CLAIM THAT THEY ARE TYPICAL RESULTS THAT CONSUMERS WILL GENERALLY ACHIEVE. THE TESTIMONIALS ARE NOT NECESSARILY REPRESENTATIVE OF ALL OF THOSE WHO WILL USE OUR PRODUCTS AND/OR SERVICES. � THE TESTIMONIALS DISPLAYED (TEXT, AUDIO AND/OR VIDEO) ARE GIVEN VERBATIM EXCEPT FOR CORRECTION OF GRAMMATICAL OR TYPING ERRORS. SOME HAVE BEEN SHORTENED MEANING; NOT THE WHOLE MESSAGE RECEIVED BY THE TESTIMONY WRITER IS DISPLAYED, WHEN IT SEEMED LENGTHY OR NOT THE WHOLE TESTIMONIAL SEEMED RELEVANT FOR THE GENERAL PUBLIC. 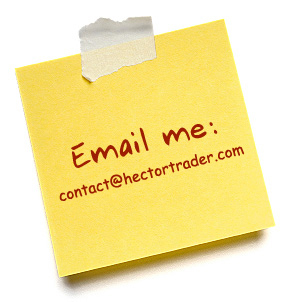 � HECTORTRADER.COM IS NOT RESPONSIBLE FOR ANY OF THE OPINIONS OR COMMENTS POSTED TO OUR SITE. HECTORTRADER.COM IS NOT A FORUM FOR TESTIMONIALS, HOWEVER PROVIDES TESTIMONIALS AS A MEANS FOR CUSTOMERS TO SHARE THEIR EXPERIENCES WITH ONE ANOTHER. TO PREVENT AGAINST ABUSE, ALL TESTIMONIALS APPEAR AFTER THEY HAVE BEEN REVIEWED BY MANAGEMENT OF HECTORTRADER.COM. HECTORTRADER.COM DOES NOT SHARE THE OPINIONS, VIEWS OR COMMENTARY OF ANY TESTIMONIALS ON THIS SITE, AND ARE STRICTLY THE VIEWS OF THE REVIEWER.